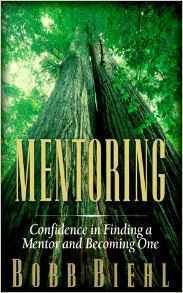 In Mentoring, Bobb Biehl explains clearly and completely what mentors do and don't do, the nature of the mentor/protege relationship, the most common roadblocks to effective mentoring, and more to help you succeed as mentor or protege. Don't Step on the Rope! : Reflections on Leadership, Relationships and Teamwork by Walter C. WrightThe Gift of Mentors by Walter C. Wright, Jr.